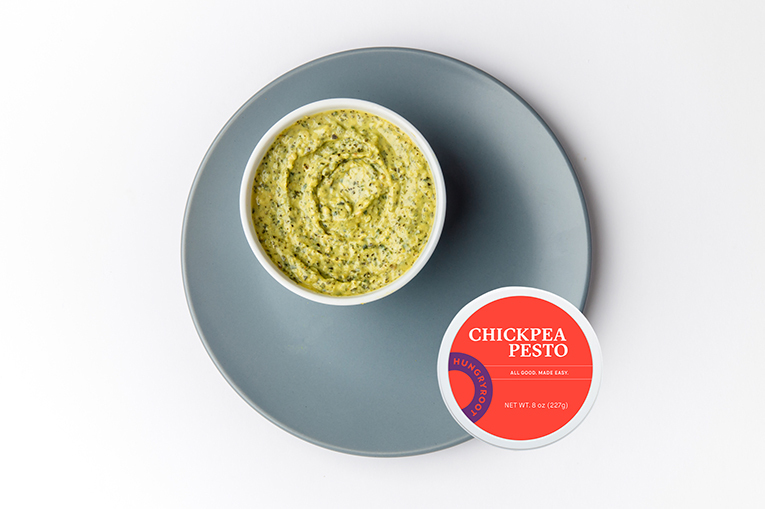 Nut-free and dairy-free yet creamy (courtesy of chickpeas), this herbaceous pesto is a versatile sauce to add to your kitchen arsenal. 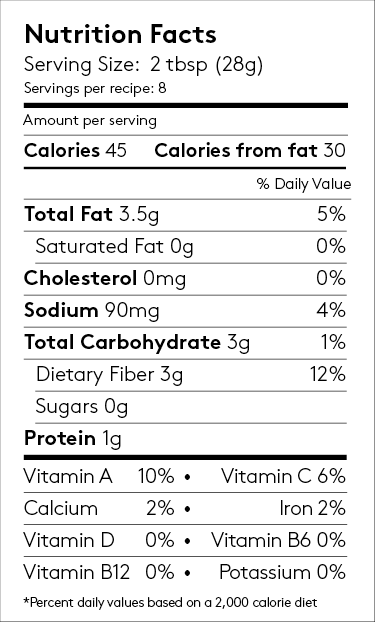 Previously known as Kale Pesto. Toss with hot pasta for pesto pasta or add to cooked rice or quinoa. Use as a dip for crudités or crackers. Or use as a sandwich spread in lieu of mayo. Quick Tip: Mix with sautéed vegetables and proteins or use as a sauce on pasta. Also a perfect healthy dip for crackers or veggies.